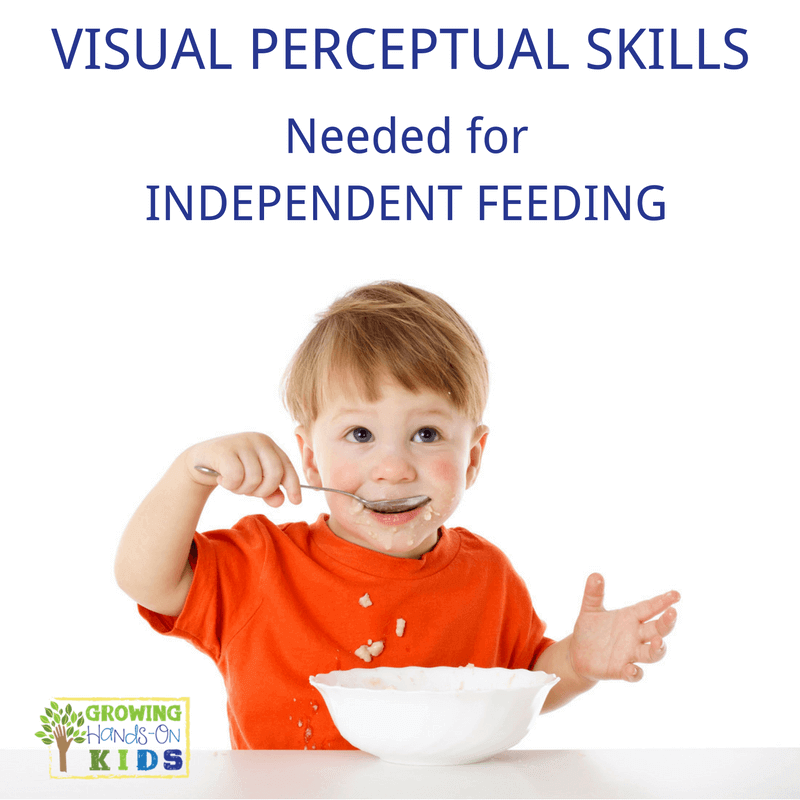 A huge component of independence in feeding is the use of visual perceptual skills. Your eyes need to be able to process where the food is in relation to your hands and then tell your hands how much pressure to place on the fork or spoon in order to get food on it and bring it to your mouth. 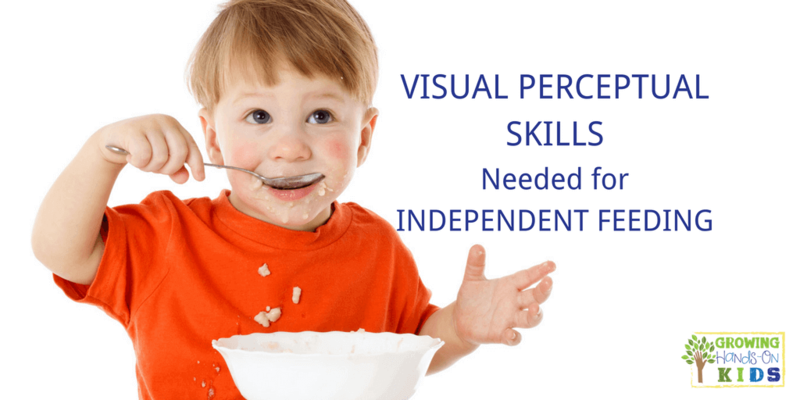 For children who have difficulty with self feeding, it is important to address their possible lack of visual perceptual skills needed for independent feeding. What are Visual Perceptual Skills? Before we continue to today's tips, I want to make sure we are all on the same page when it comes to terms and what they mean. There are a few different terms out there when it comes to visual perceptual skills and they can be a little confusing. 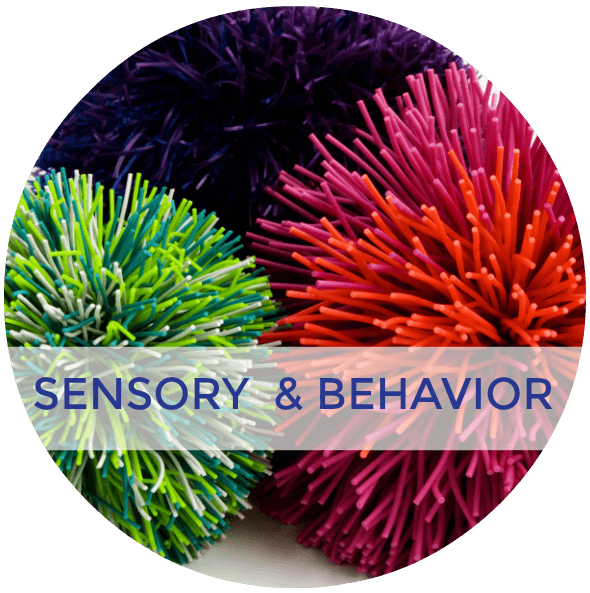 First up, visual motor skills include the development of visual perceptual skills, eye-hand coordination, and functional visual skills such as eye-tracking and convergence. Visual perceptual skills involve the ability to organize and interpret the information seen from the eyes and give it meaning. 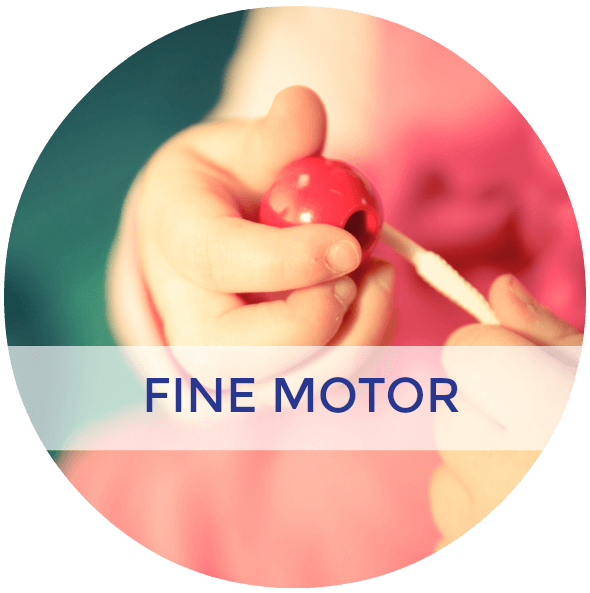 Visual motor integration means that the information received from the eyes to the hands is efficient and able to be used appropriately. 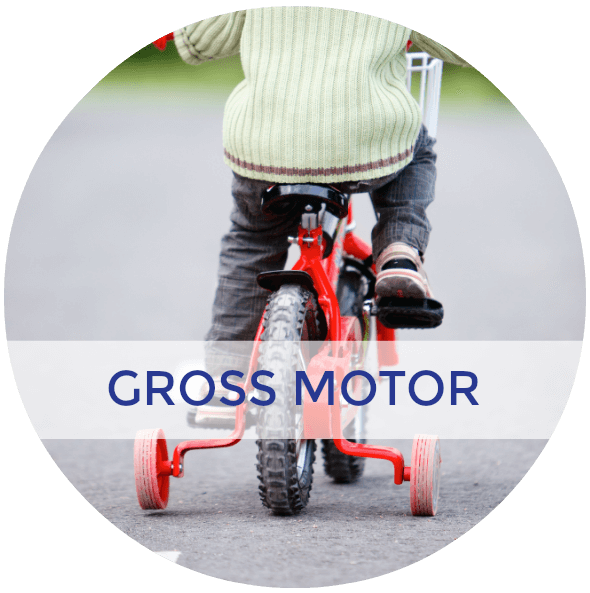 (See visual motor integration skills). Visual perceptual skills for just about everything we do in regards to self care, but let's take a look specifically at feeding today. 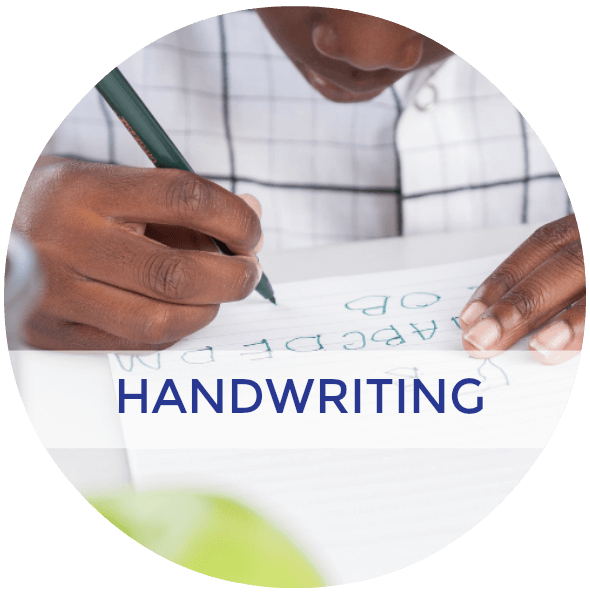 One thing we do as therapists is do a task analysis of a skill to see where a child or person may be having issues. 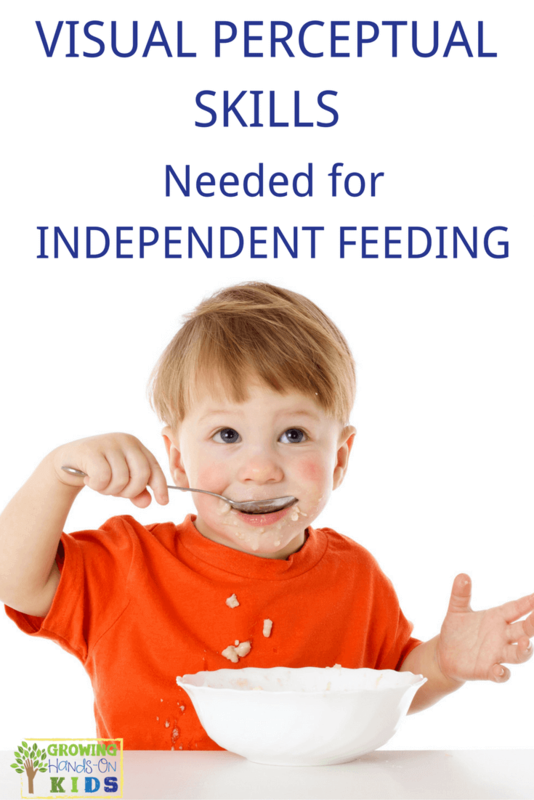 So let's look at a general task analysis of a typical independent feeding activity. Ability to guide the body to a chair at the table, pull out that chair and then sit down. Able to visually discriminate between the different objects at the table (plate, cup, spoon, fork, knife, napkin etc) and pick up napkin appropriately and place it in the lap. Ability to pick up the appropriately utensil (fork for solids such as meat, spoon for liquids such as soup, when to use a knife for cutting a piece of meat) and place food item on the utensil. Ability to use opposite hand to assist in placing food on the utensil. Ability to bring item to the mouth without visually seeing where the mouth is on the face. When you look at a baby who is just learning to feed themselves, you can see how they are working at perfecting these skills. Their visual perception is still being developed. They have not learned how to interpret the incoming proprioception information from their hands appropriately. Their eye-hand coordination is still being formed (if you are looking for a good resource on teaching baby to feed himself, check out this great article from CanDo Kiddo). 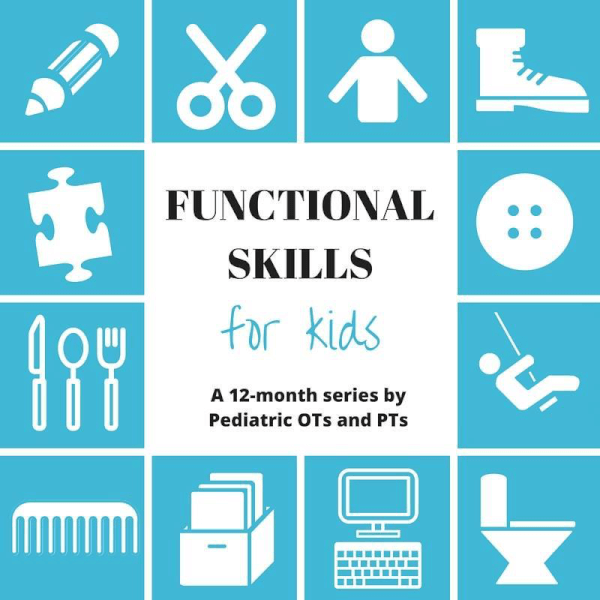 It's important to realize what is age appropriate as far as self feeding skills and that is addressed in another post below in the Functional Skills for Kids blog hop this month. 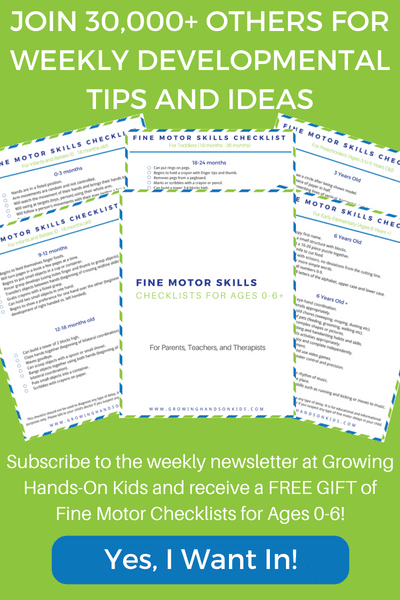 However, if you have a child who is struggling with visual motor skills and the independent feeding skills appropriate for their age, here are some tips. Limit visual distraction at the table, such a busy table cloths or placemats. Solid colors and high contrast in colors is best. For example, white food should be placed on a colored plate, not a white plate. Foods that are bright in color should be placed on white or neutral plating to enhance the contrast between food items. (source: Mealtime Independence for the Visual Impaired). The same goes for placing plates, cups, and utensils on high contrast surfaces. If you have neutral or white plates, bowls, or cups, than use a high contrast table cloth or placemat so the items are easy to see. Bright colored items should go on neutral placemats or table cloths. Limit how many different foods you introduce at the same time to one or two. For example, needing to use a spoon for soup, a fork and knife to cut meat, or a fork to stab at something can be a lot of process at one time. Introduce each of these food items one at a time during the meal, allowing your child to focus on just the skills needed for that one item, instead of jumping back and forth. 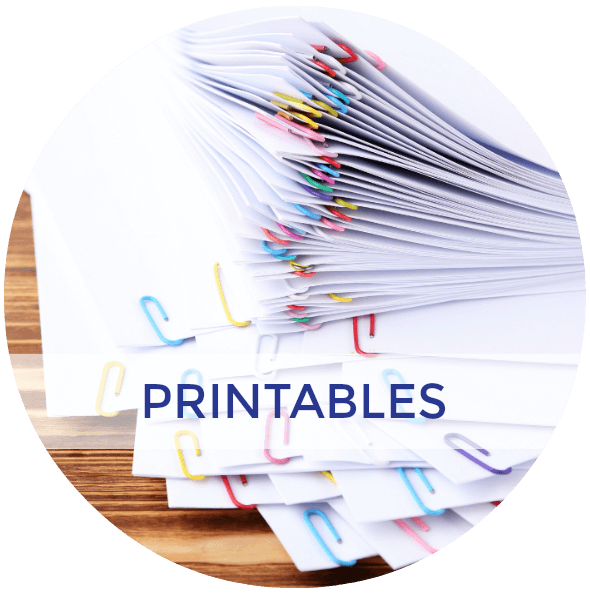 If a child has difficulty with judging movements and knocks items off the plate or the plate off the table often, consider using a silicon placemat that will stick to the table. Heavier adaptive utensils are often easier to grasp and hold on to as well. Practice taking bites and using utensils appropriately in front of a mirror so your child can see where their mouth is in relation to their food or utensil. Often times typical plates or bowls do not give the child a high enough side to be able to work on scooping food on to the utensil, so using a divided plate or one with higher sides will help with this. Divided plates will also help a child identify foods easier and be able to tell which utensils to use for which items. It is also helpful to use for finger foods and dips. Encourage practice of independent feeding skills through play time activities such a having tea parties, playing in a small kitchen area, pretending to use utensils and table items during play. Encourage your child to participate in food-prep help. 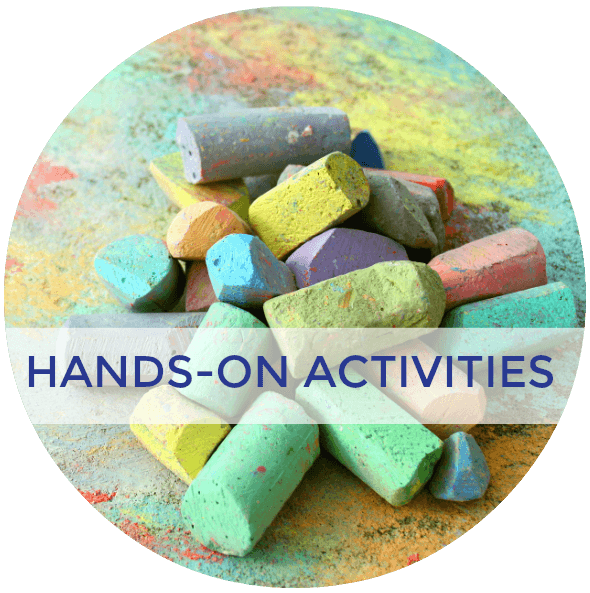 Not only is this excellent fine motor and visual motor skill practice, it encourages your child to try new things that they helped to prepare. 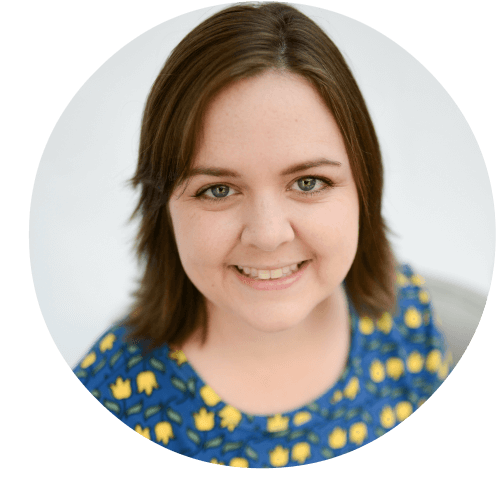 There are many other skills needed for independence with feeding and our therapy bloggers of the Functional Skills for Kids blog hop series have you covered today! 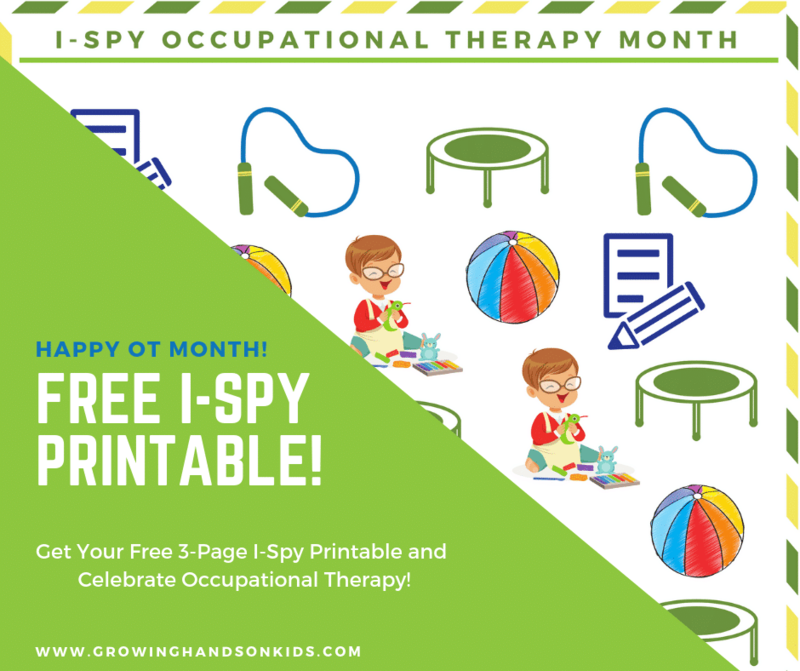 For more OT Tips like this one, check out my Occupational Therapy Tips Pinterest board.